Anyone have contacts with Dez Bryant of the Dallas Cowboys? 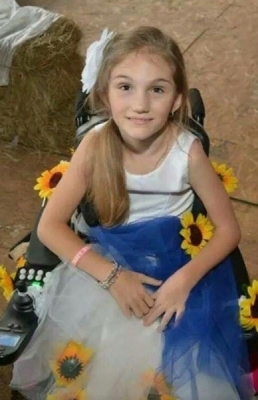 Sweet 10 year old Abby has cerebral palsy and is having her 11th surgery soon in Dallas! 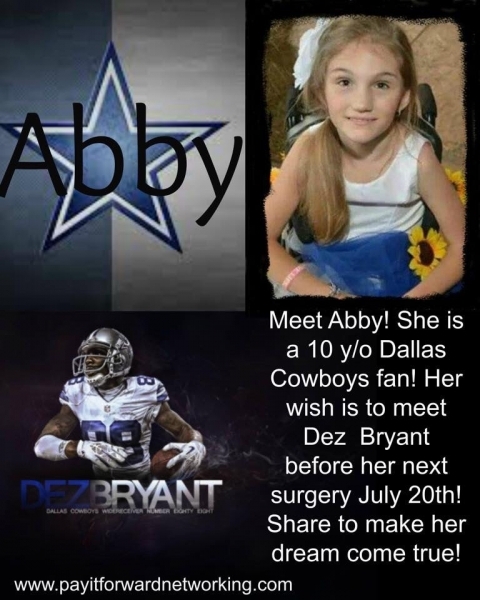 She very much wishes for Dez to visit her and give her an autograph! She shared a love for Dez with her older brother who sadly passed away. Please share and let's try to contact Dez to grant her wish! Surgery is July 20th in Dallas! If he can't visit maybe he can send a video message and something autographed!